Renting the hall on a daily basis. Setting the capacity of the hall to 50 persons. Booking slots will be available only on week days and not on weekends. Go to Article manager and create a new article. Move to J2Store cart tab and choose YES to treat as a product. Choose product type as Booking and save. After creating the product, navigate to general tab. 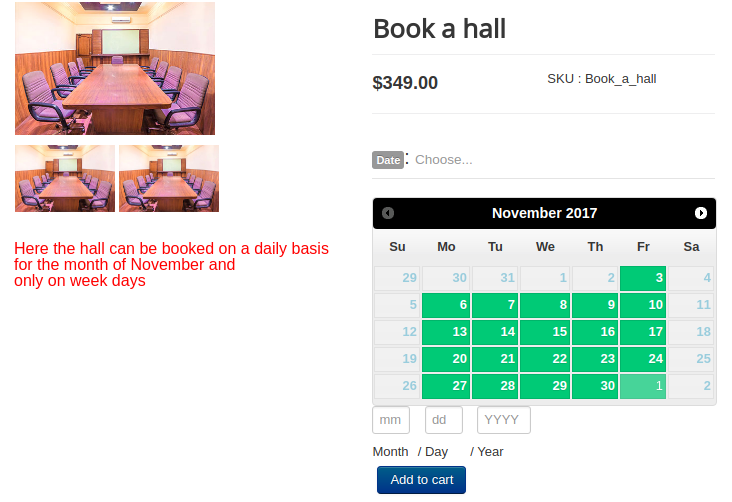 In our sample scenario, we are renting the hall on a daily basis. 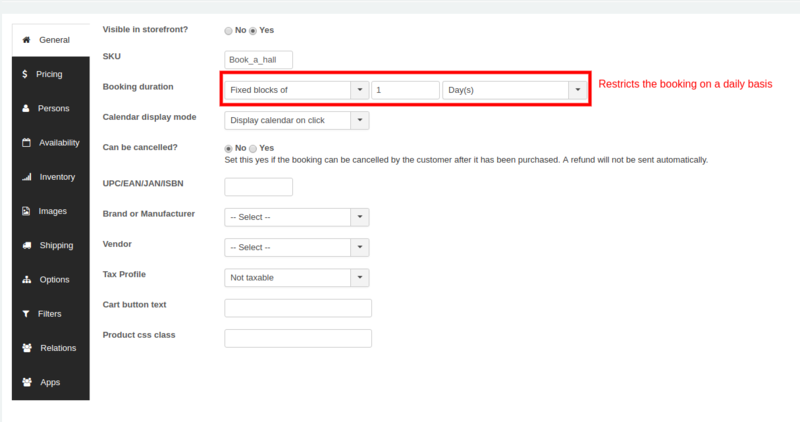 So Set the Booking duration to Fixed blocks of 1 day(s). Set the pricing and navigate to the next tab. Bookings will be open daily for hourly basis(say 3 hours). 10 bookings will only be taken per day. 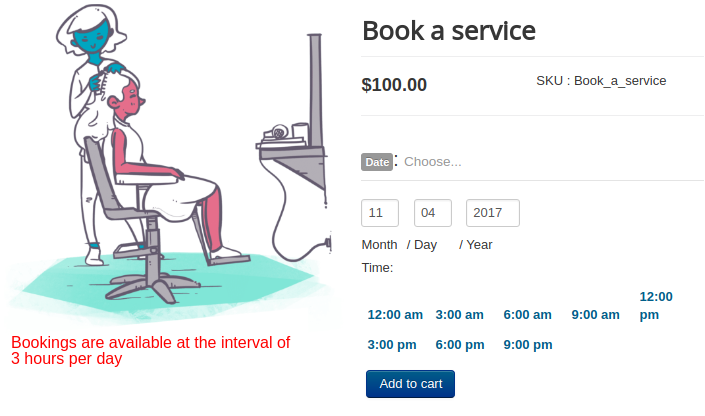 The availability time range is 6:00 am to 11:00 pm. Set this parameter to Fixed blocks of 3 Hour(s) to make the block available with custom time range. 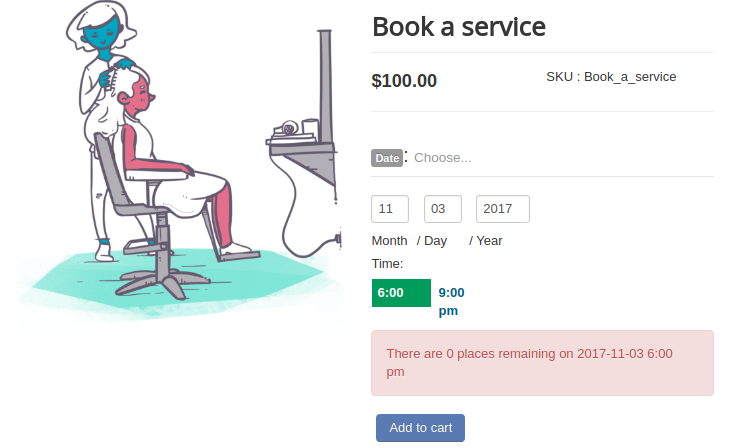 Set the pricing accordingly and navigate to the availabilitytab. The above settings will implement the following changes in the frontend. An owner of boat offers boat ride for daily on hourly basis. The duration of journey is 2 hours and the start times are 10:00 AM, 2:00 PM, & 6:00 PM. The booking price for Adults and Children can be vary. The maximum capacity of boat is 25. 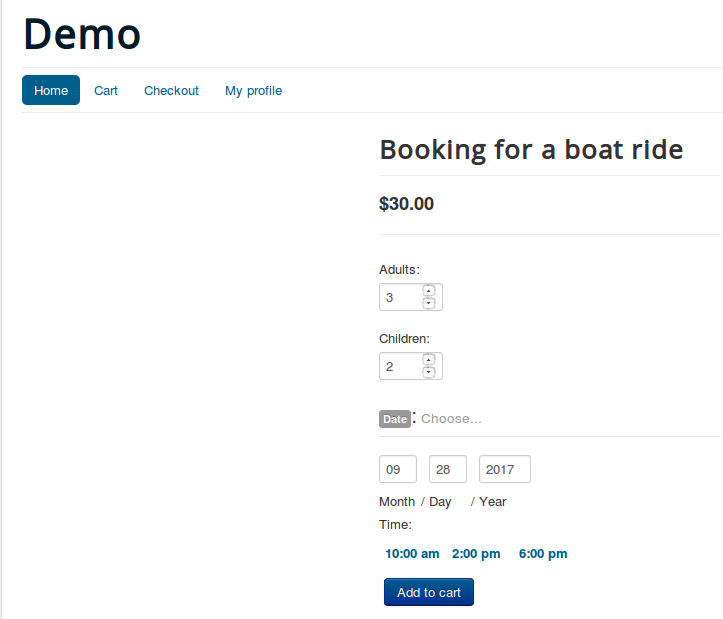 In our example, the duration of boat ride is 2 hours. So set booking duration to Fixed blocks of 2 Hour(s). In this example, the pricing can be vary based on person types. To set different pricing for Adults and Children, Enable person types. Set YES to Enable person types and click on Add person types button to add person type Adults and Children. And then define the base cost, block cost, minimum and maximum number for each person type. Take a look at below demo screen shot to see how the parameters under person tab are configured.